5. Africans pioneered basic arithmetic 25,000 years ago. The Ishango bone is a tool handle with notches carved into it found in the Ishango region of Zaïre (now called Congo) near Lake Edward. The bone tool was originally thought to have been over 8,000 years old, but a more sensitive recent dating has given dates of 25,000 years old. On the tool are 3 rows of notches. Row 1 shows three notches carved next to six, four carved next to eight, ten carved next to two fives and finally a seven. The 3 and 6, 4 and 8, and 10 and 5, represent the process of doubling. Row 2 shows eleven notches carved next to twenty-one notches, and nineteen notches carved next to nine notches. This represents 10 + 1, 20 + 1, 20 - 1 and 10 - 1. Finally, Row 3 shows eleven notches, thirteen notches, seventeen notches and nineteen notches. 11, 13, 17 and 19 are the prime numbers between 10 and 20. 13. The first Great Pyramid of Giza, the most extraordinary building in history, was a staggering 481 feet tall - the equivalent of a 40-storey building. It was made of 2.3 million blocks of limestone and granite, some weighing 100 tons. 15. Egyptian mansions were discovered in Kahun - each boasting 70 rooms, divided into four sections or quarters. There was a master’s quarter, quarters for women and servants, quarters for offices and finally, quarters for granaries, each facing a central courtyard. The master’s quarters had an open court with a stone water tank for bathing. Surrounding this was a colonnade. 18. Sudan has more pyramids than any other country on earth - even more than Egypt. There are at least 223 pyramids in the Sudanese cities of Al Kurru, Nuri, Gebel Barkal and Meroë. They are generally 20 to 30 metres high and steep sided. 45. The Malian city of Timbuktu had a 14th century population of 115,000 - 5 times larger than mediaeval London. Mansa Musa, built the Djinguerebere Mosque in the fourteenth century. There was the University Mosque in which 25,000 students studied and the Oratory of Sidi Yayia. There were over 150 Koran schools in which 20,000 children were instructed. London, by contrast, had a total 14th century population of 20,000 people. 48. A collection of one thousand six hundred books was considered a small library for a West African scholar of the 16th century. Professor Ahmed Baba of Timbuktu is recorded as saying that he had the smallest library of any of his friends - he had only 1600 volumes. Thanks for this useful information about Africa. 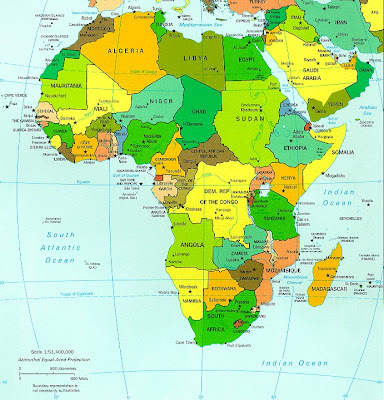 Your article give me new things about Africa.